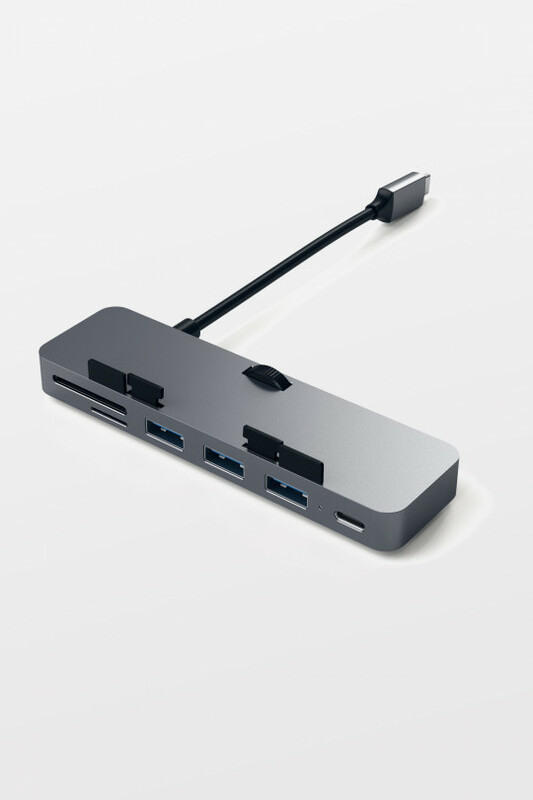 Slim USB-C hub for smart travellers. 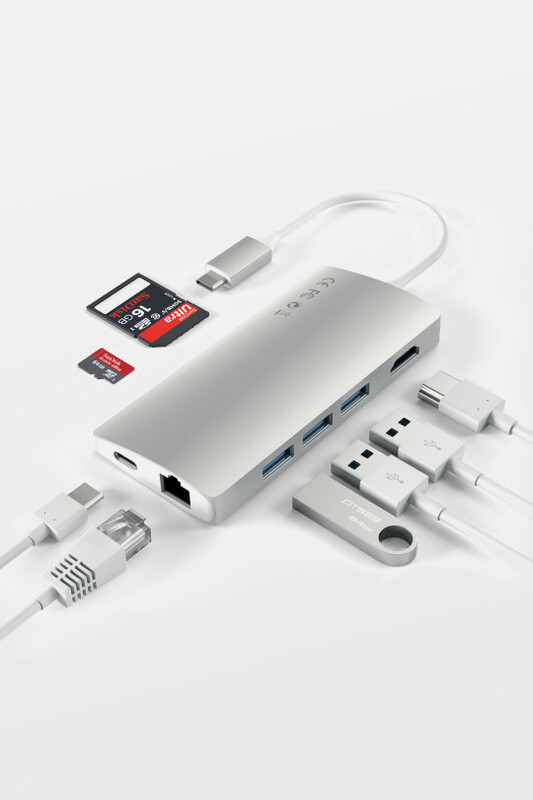 The Satechi Type-C USB Combo Hub provides the ability to still use the old USB peripherals! 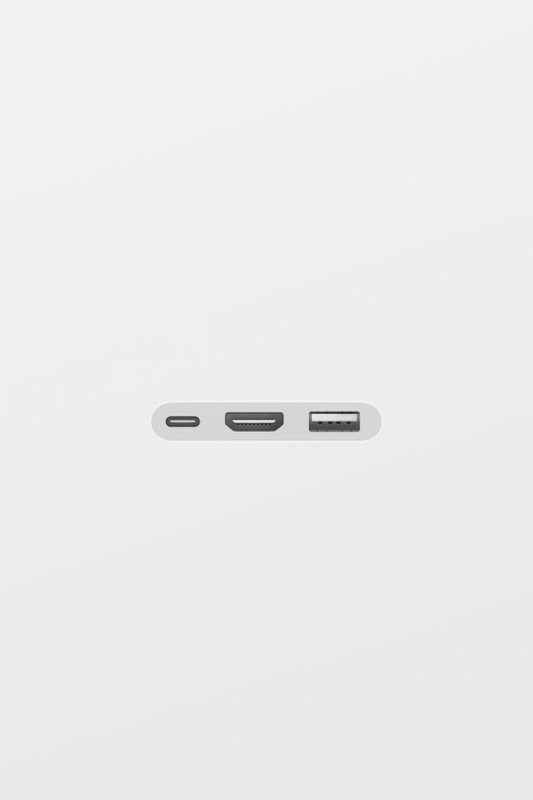 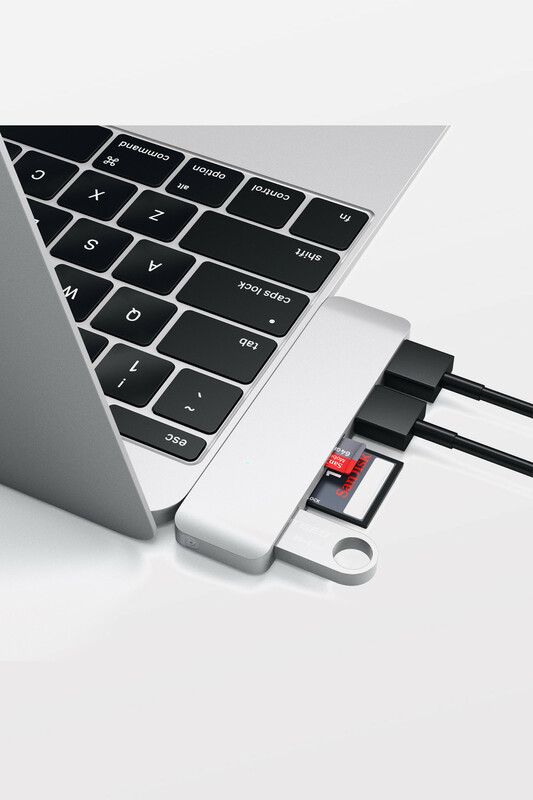 Thanks to this hub, you can easily convert a Type-C USB port to three USB 3.0 ports, an SD card slot, and a Micro SD card. 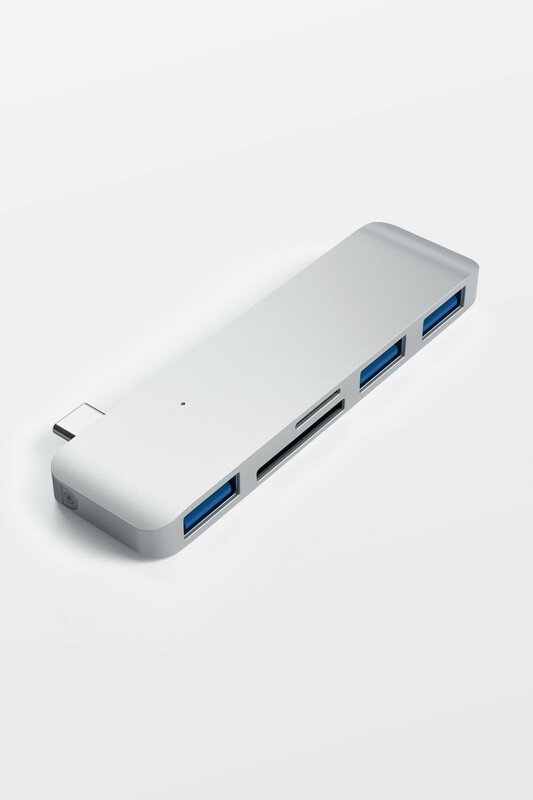 The small size makes the Type-C USB Hub easy to fit into a purse, backpack, or laptop bag. 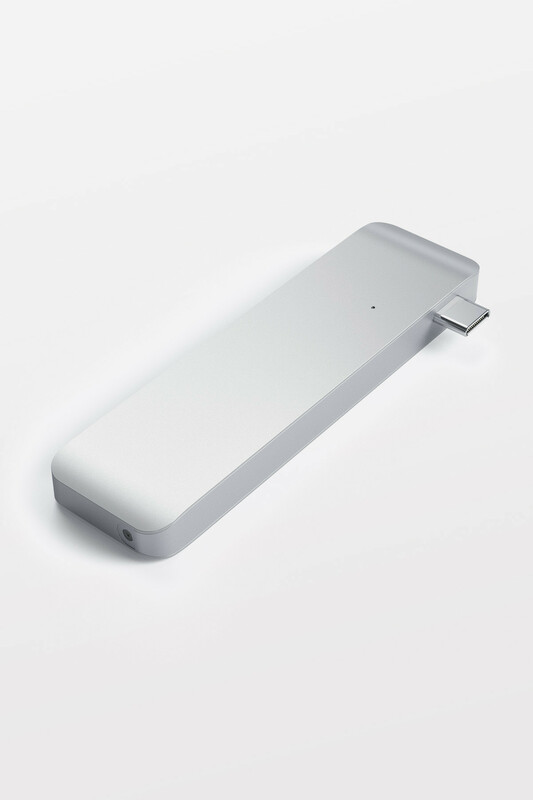 No matter where travels take you, you won’t be far from the convenience of accessing the favourite USB devices! 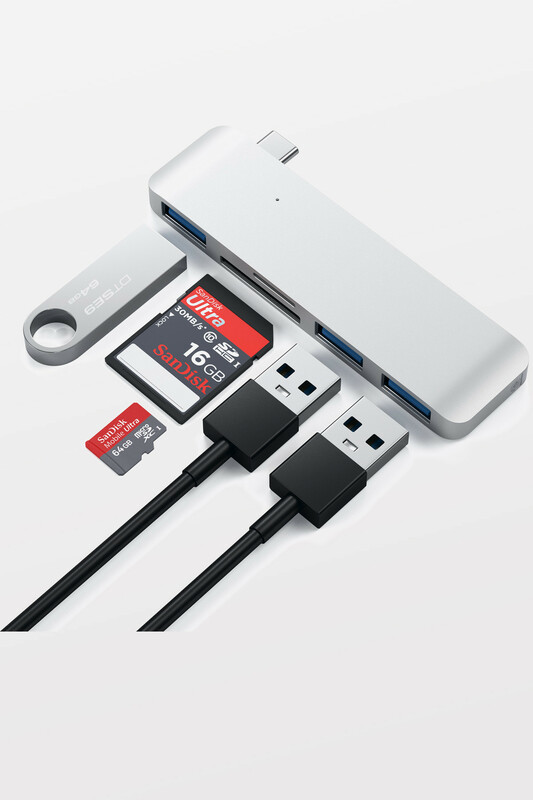 Please note the Micro and SD cards cannot be used simultaneously.